While I have profound respect for those conducting legitimate research to expand our understanding of human biology, diseases and their treatment, I am dismayed by the recent spate of laboratory studies in which researchers expose cells living in artificial environments to e-cigarette liquids. The liquids invariably produce measurable effects, which lead to claims that e-cigarettes cause myriad diseases. These claims are further exaggerated in press releases and sensationalized media coverage. E-cigarette consumers – vapers – need to understand that what happens in these lab experiments does not necessarily mirror cellular action in humans. Human cells nurtured in labs’ artificial environments are exquisitely delicate; even under perfect conditions, it is exceedingly difficult to keep them alive – a minor change in the environment can skew an experiment and even kill the cells. Humans are far more resistant to small doses of chemicals than are cells in a petri dish. Famed biologist Bruce Ames wrote in 2000, “Humans have many natural defenses that buffer against normal exposures to toxins…Examples of general defenses include the continuous shedding of cells exposed to toxins. The surface layers of the mouth, esophagus, stomach, intestine, colon, skin and lungs are discarded every few days; DNA repair enzymes, which repair DNA that was damaged from many different sources; and detoxification enzymes of the liver and other organs.” (abstract here). E-cigarette liquids are being vilified through such tests. Vapers should not be fooled by the irresponsible transformation of weak cause-and-effect analyses into hypothetical illnesses. Largely harmless products can be portrayed quite readily as dangers – coffee, for example , has not been linked to any serious disease, but one could point to lab studies showing that coffee kills cells (here and here) and promotes cancers (here). These claims would have about as much scientific credibility as the current claims against e-cigarettes. 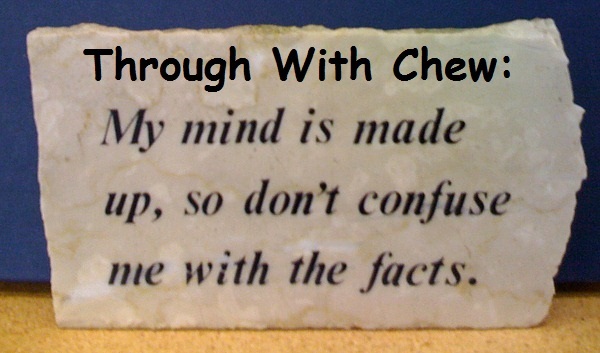 The Facts: The amount of nicotine that smokeless tobacco “delivers” is irrelevant, because chewers and dippers use products in ways that satisfy them. 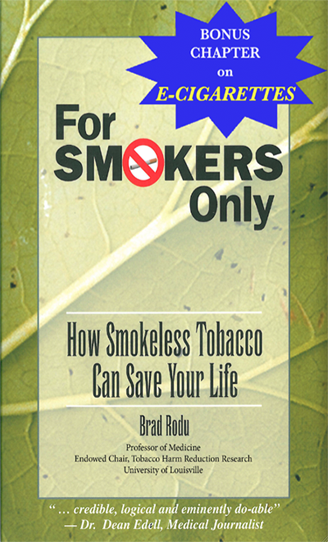 In fact, there is evidence from one of the world’s foremost authorities on nicotine addiction that smokeless tobacco is less habit-forming than cigarettes (here and here). Most Americans are badly misinformed about the absence of significant health effects of nicotine (here). The Facts: Every natural product, including coffee contains thousands of chemicals (here). A product’s chemical composition is unimportant if it carries little or no risk. Like coffee, smokeless tobacco fits in that category. The Facts: Almost everything we eat contains cancer-causing chemicals, but they are in trace levels that present no risk. Again, coffee is a prime example (here). Numerous scientific studies prove that there are vanishingly small levels of carcinogens in modern smokeless tobacco products (here, here, here, here, here). The Facts: According to dozens of published epidemiologic studies (reviewed here), the risks for these cancers are not elevated. The Facts: Among the many risk factors for heart disease and stroke, smoking is one of the biggest. That is not the case with smokeless tobacco. When the American Heart Association conducted an extensive investigation of smokeless tobacco and heart disease, it found almost nothing (here). Large studies from Sweden show that snus users do not have risk for heart attacks (here) and strokes (here), and snus use may even offer benefits for heart attack survival (here). The Facts: White patches are common in chewers and dippers, but they are nearly always benign. The link with mouth cancer is virtually zero (here). The Facts: There is virtually no scientific evidence that smokeless tobacco is a risk factor for any dental problem (here, here). In fact, one study shows that snus and moist snuff (dip tobacco) might be protective against cavities (here). Don’t be fooled by bogus smokeless tobacco health claims. Acting Surgeon General Boris Lushniak marked the 50th year of the federal government’s war on tobacco two years ago, noting, “We are at a historic moment in our fight to end the epidemic of tobacco use.” (here) “The good news,” he continued, “is that we know which strategies work best… [to make] the next generation tobacco-free.” The declaration left no room for consideration of tobacco harm reduction. The government’s grand plan does include telephone quitlines and web-based interventions for current tobacco users – two programs that in 2012 cost taxpayers about $100 million (here). According to new study from the Centers for Disease Control, “…only 1% to 2% of adult tobacco users in the U.S. access quitlines each year.” (abstract here). That's about one half to one million individuals. Do quitlines work? The CDC offered results for calendar year 2011 telephone and web-based quitlines in Alabama, Arizona, Florida and Vermont. Dr. Antonio Neri and CDC colleagues assessed rates of cessation (defined as not smoking by self-report for the past 30 days) seven months after each subject’s enrollment. The reported rates – 32% for quitline users and 27% for web-based users – were actually inflated by manipulating the numbers. Of the 16,332 participants in the programs, just over half (n=8,277) were lost to follow-up. The CDC researchers sought the missing subjects via email, postal mail, express mail, computer-assisted phone calls and $40 inducements. These plus another 3,969 participants were dropped from the critical denominator. The fact that Neri et. al. based their calculations on only 25% of the original enrollees skewed the results. Using the original enrollment numbers, success rates are only 8.1% for quitline users and 6.7% for web users. Considering that in any given year about 5% of smokers quit on their own, about 800 of this study’s 16,000 smokers would have quit with no assistance. The quitlines and web therefore generated about 400 quitters, a paltry number. My estimates are consistent with real-world numbers. The quitlines provided free nicotine medicines (which have been shown to work for 7% of smokers who try them) and counseling, which likely included current coping tips from the National Cancer Institute, such as, “take a time out; call or text a friend; take a walk, play a game, read a good book; make a list of fun events, do one a day; get out of the house when you can.” It is doubtful that many of the 12,000 drop-outs actually used these tips to quit. This CDC study was supported by the American Recovery and Reinvestment Act of 2009. That legislation was aimed at creating jobs, assisting those most impacted by the recession, investing in infrastructure and stabilizing state and local government budgets (here), with $1 billion earmarked for “prevention and wellness.” Using tax dollars to defend wasteful programs with contrived analytics is bad public policy. In the journal and the release, the terms “use” and “try” are used interchangeably to make the case for the e-cigarette as a gateway to smoking. The news media eagerly took the bait (here and here). Wills defines an e-cig user as anyone who “smoked [sic] e-cigarettes 1-2 times,…3-4 times,…a few e-cigarettes a year,…a few e-cigarettes a month,…a few e-cigarettes a week,…[or] every day.” In other words, students who ever took a puff on an e-cig were counted together with students who used them more often. Wills similarly distorts the definition of cigarette smoking. Such broad definitions are pointless from a scientific perspective, but they have one advantage: by inflating the number of users, they support a (false) linkage between e-cigs and cigarettes. If we use the generally accepted definition for adolescent substance use – i.e., used in the past month – the prevalence of e-cig use was 8% and cigarette use was 4% during the study. By manipulating the definitions, Wills claims that 31-38% of students used e-cigs and 15-21% of students smoked. Even if we accept the authors’ definitions and analysis, the majority of new smokers at follow-up were students who had never used e-cigarettes, as shown in this table. The bottom line: Although ever e-cig users were more likely to ever use a cigarette than never e-cig users, the numbers still show that most new ever users of cigarettes at follow-up (46 of 77) were teens who had never used an e-cig. 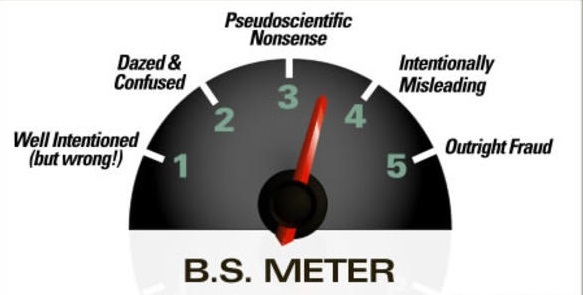 Another flaw in the Tobacco Control article is that the authors write that they completed a “Longitudinal school-based survey with a baseline sample of 2338 students (9th and 10th graders…) in Hawaii…in 2013…and followed up 1 year later…” (The number was repeated in the journal’s press release [here].) That is, in fact, a gross overstatement as there was only complete follow-up information for 1,302 students. Since, of those, 161 had used cigarettes at baseline, my results in the table above are based on 1,141 students from Table 2 of the publication. However, Wills’ results are based on only 1,070 students. A co-author of the article, James Sargent, was cited in this blog last year for co-authoring a “fatally flawed” gateway article about youth e-cig use. My examination of that study (here) revealed similar problems with defining ever or current use. The first author of that study, Brian Primack, is quoted in a Reuters’ story about the current study, as is Adam Leventhal, first author on a third flawed gateway study analyzed in this blog (here). I have described how the National Institutes of Health is spending hundreds of millions of dollars to fund anti-tobacco research (here). These studies are prime examples. 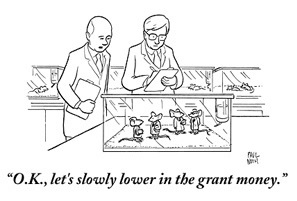 Primack reported that his work was supported by $1.3 million in grants from the NIH’s National Cancer Institute; Leventhal listed NCI grants totaling nearly $13 million; the Wills study acknowledges a $660,000 NCI grant. Taxpayers continue unwittingly to finance an ill-conceived battle against tobacco harm reduction.